Sledding! I hope you can go sledding today while her platelets are up. 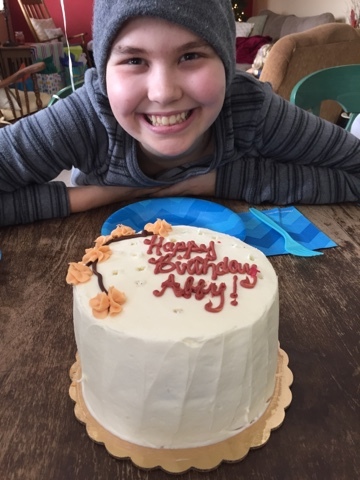 Happy Birthday, Abby! We are so glad you were able to celebrate.